Even though Zhen Zhen isn’t all that shocked that the man of her dreams comes from the future, she’s going to be in for one (unpleasant?) surprise when she finds out who exactly he is. But enough about the Chen-Zhen couple; her stupidity is too much of a bummer. Ya Juan and Jin Qin’s relationship is progressing quite nicely, but we can probably all agree that the chances of him being the father is about 0%. Right? Even though her mom is being portrayed as the biggest obstacle to true love, it’s that shady AF Zhong En that we gotta keep an eye out for. Enemies are closer than these characters know! But the apple told me so! 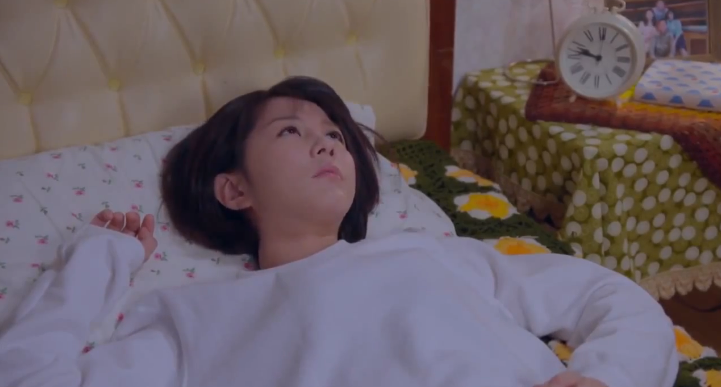 Zhen Zhen is convinced that the solution to their love obstacle is for her to travel to 2016 with him. Naturally, Chen Che is like WTF? He straight-up tells her that it’s impossible because he doesn’t even know how to get himself back to 2016. Hearing this, Zhen Zhen is all giddy thinking that he’ll be stuck in 1989 with her. Crazy gf alert! Ya Juan’s being kept prisoner at her house, so now she’s not even allowed to go to work. Zhen Zhen and Chen Che visit her after work, but of course the evil mom cuts straight to the chase and says Ya Juan will be resigning. Chen Che’s smartly counters that if Ya Juan suddenly stops showing up for work, then she might be considered “fired.” And that will look no bueno on her application for school. Hooray, temporary freedom! Zhen Zhen’s bro saw her sneaking into Chen Che’s room the night they talked time travel business, so now her fam thinks they’re hooking up. Her parents are surprisingly okay with them dating and marrying, but no funny business is allowed under this roof. Even though Zhen Zhen and Chen Che vehemently deny there’s anything going on, no one’s buying it. Jin Qin stops by Tai Yuan to have lunch with Ya Juan. While they’re off having some precious alone time, her mom decides to pay the office a little visit to see what’s up. This lady seriously needs a hobby. 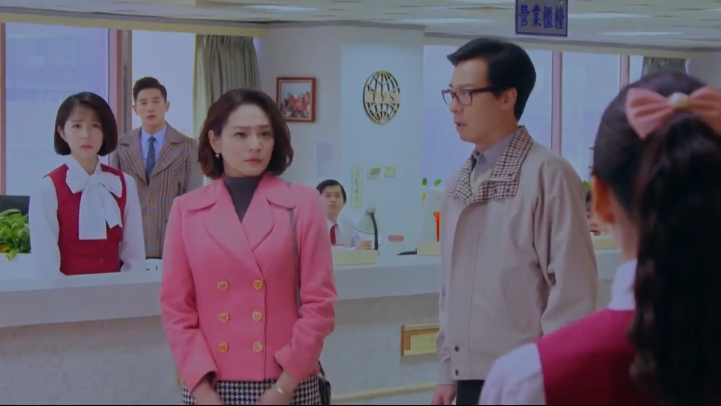 Chen Che and Zhen Zhen nervously claim that she’s out with a client, but she’s obviously suspicious. Ya Juan gets back in time, and her mom forces her to meet with the manager to hand in her resignation. Booooo. Always here to rain on y’all’s parade. When Professor meets up with Chen Che later, he asks what’s Ya Juan and Jin Qin’s relationship in the future. 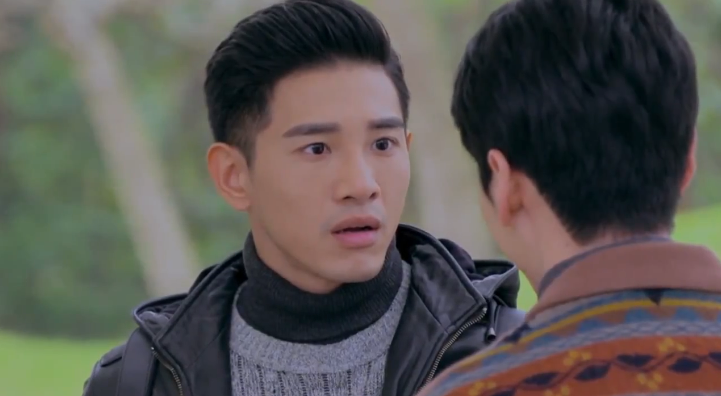 Chen Che has no choice but to admit that he doesn’t even know who his father is. Confused and panicked, Professor Chen forces him to tell him everything about Ya Juan’s life in 2016. But because Chen Che doesn’t know if Jin Qin is actually his father, it’s very risky that he’s trying to get them together now. Chen Che is aware of that, but he also wants to do what he can to help his mom from becoming the unhappy version of herself in the future. After his discussion with Chen Che, Professor Chen has a heart-to-heart with Ya Juan. She admits that she doesn’t want to go to America and that she and Jin Qin are dating. Knowing how much his daughter likes this guy, he helps her sneak out of the house to meet him. Ha! Ya Juan and Jin Qin go on a cute little date around the school’s campus, and he sends her a love message via paper airplanes. The message reads: I LIKE CHEN JUAN. The “YA” is missing, but she tells him that she’ll happily be his Chen Juan. They cap off their date with kisses after declaring that their love can be a miracle in a world full of obstacles. And Jin Qin tells her that he loves her! Zhen Zhen barges into Chen Che’s room after reminiscing about the time he serenaded her during the power outage, and forcibly hugs him. She tells him that it whether it’s 1989 or 2016, her feelings for him won’t change. He reminds her that he’s gotta leave one of these days, so they can’t be together. Dumb Zhen Zhen can’t seem to understand the concept that they’re from two different time periods. Chen Che rebukes her suggestions that either he stay in 1989 or she goes to 2016. 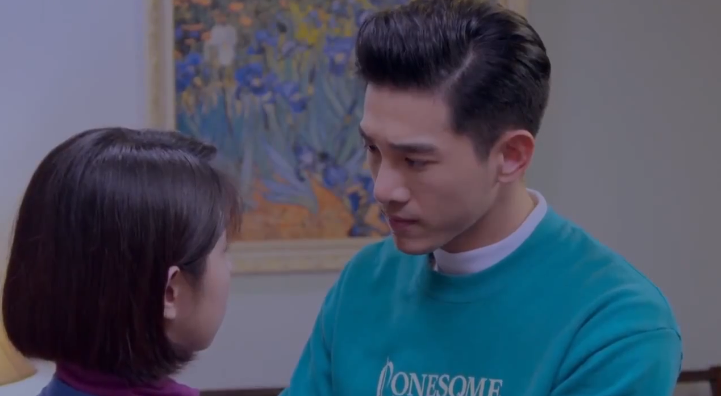 Jin Qin meets up with Chen Che to thank him for helping him and Ya Juan be together. Jin Qin wants to organize a surprise for Ya Juan at Zhong En’s restaurant and asks Chen Che to help invite her. He doesn’t want to keep their relationship a secret anymore, especially since they took a step forward yesterday. Chen Che immediately thinks that this means they slept together, and wonders how Ya Juan and Jin Qin separated if he’s really his father. Is baby Chen Che on the way? Zhen Zhen and her bro do a little exchange: she lends him her special pen (lolz) and he gives her his sci-fi novels about time travel in return. Xiao Long orders lunch for Zhen Zhen, but she declines eating with him when Chen Che tells her it’s cool if she goes. That mysterious injury that Jin Qin has on his arm is actually a burn scar from when he was younger and had an altercation with his father. Zhong En and his fam are oh so conveniently moving to America too AND near Ya Juan’s school. The creeper suggests that she can even stay with them if she doesn’t have a place to live. Ew ew ew. Catch episode 12 of Back to 1989 on Viki now!